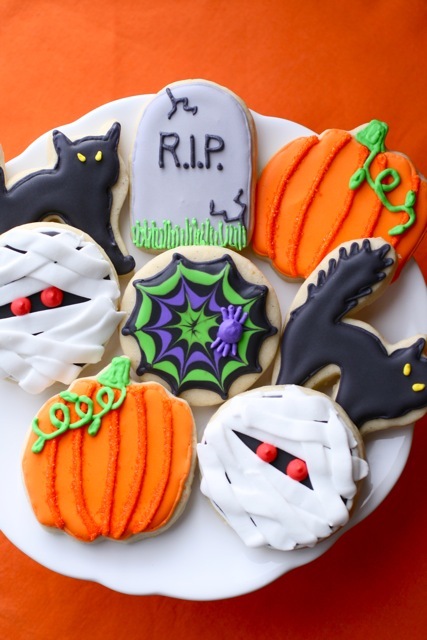 I simply can’t let a holiday pass by without making decorated sugar cookies, especially in the case of Halloween! 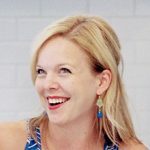 There are just too many possibilities and fun designs. 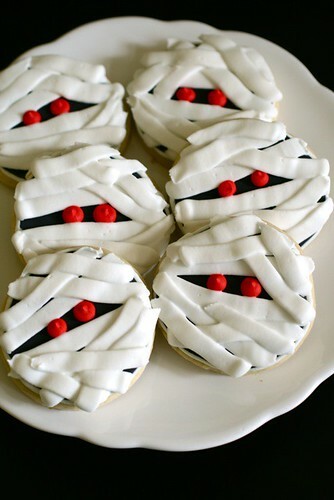 I really loved the cookies I made last year but I also had lots of new ideas. I ended up making a couple old favorites as well as some new designs. 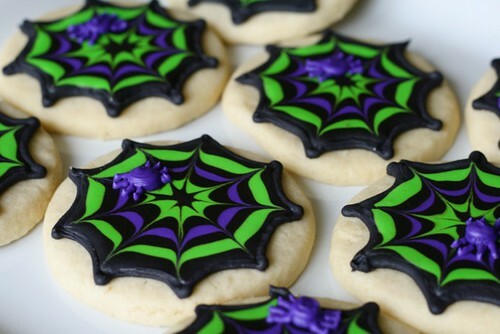 Of course, the spiderwebs were the popular favorite last year so I had to make them again. Ben still thinks they look like something I bought at the store and stuck on the cookie, so this year I made him watch me so he could see that it is, in fact, made of royal icing. See this step-by-step photo guide on making your own spiderwebs. 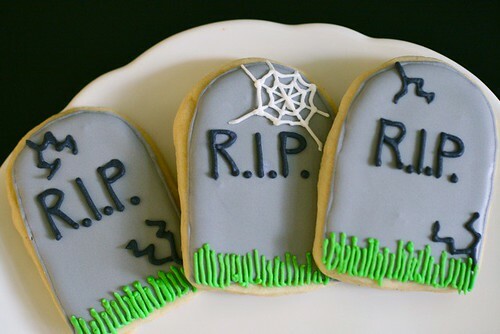 The tombstones are a good example of being resourceful with your cookie cutters. I didn’t want to purchase new cutters for this Halloween(and also didn’t have time), so I went through my collection to see what I could use. I found one that is supposed to be a gift tag with a pretty scalloped edge and used that as a starting point. Then I just cut off the edge to get the mound at the top of the tombstone. I did most of these with cracks in the stone but I also did one with a cobweb. I like them both ways. 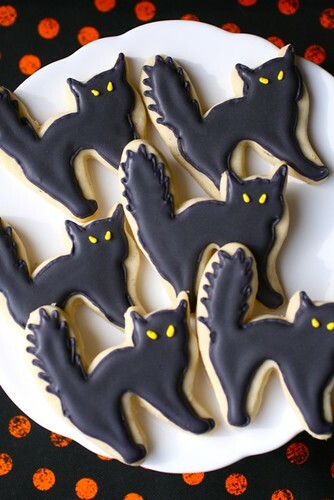 Hopefully these provide some fun cookie inspiration if you are searching for ideas. 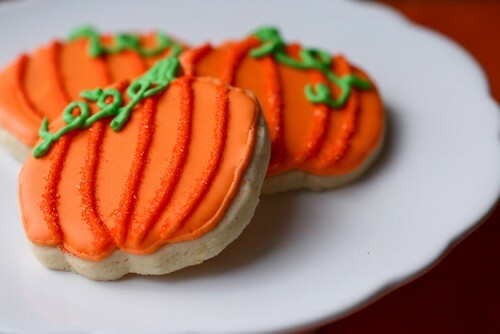 My go-to sugar cookie recipe is here, and my step-by-step royal icing tutorial gives the basics on decorating cookies. Enjoy!